Cloudfone has announced that the newly launched Cloudfone NBA Edition smartphone is more affordable when you shop online, at Lazada Philippines or Argomall. Get it cheaper online until April 30, 2017! See also: Cloudfone NBA Edition Smartphone Now Official! Like what we mentioned previously, the entry-midrange grade Cloudfone NBA Edition is the first smartphone in Souteast Asia to boast official NBA conent, themes, and accessories to provide an immersive NBA experience. 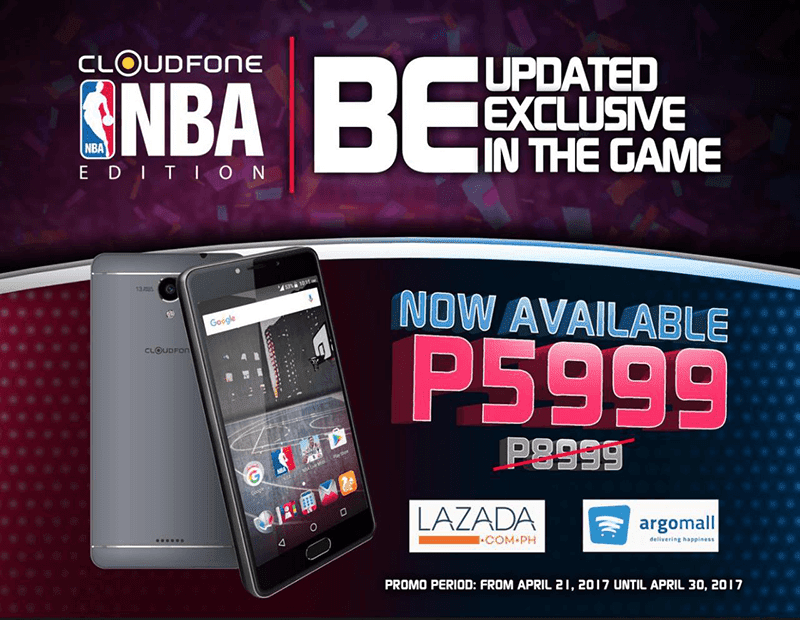 From PHP 8,999, the Cloudfone NBA Edition is down to just PHP 5,999 at Lazada or Argomall until April 30, 2017.